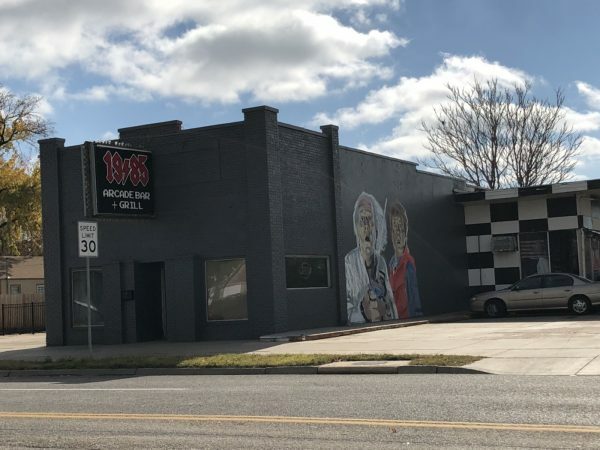 First Impressions of 1985 Arcade Bar + Grill – Wichita By E.B. 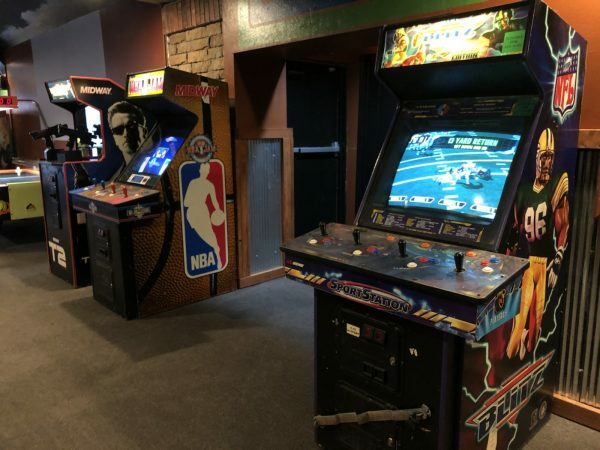 1985 Arcade Bar + Grill opened Wednesday afternoon to the surprise of many. 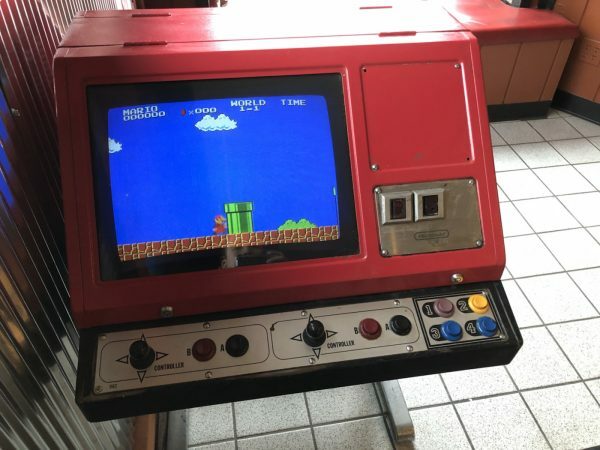 The arcade bar for the 21 and older crowd admitted to rushing it a little. To quote their Facebook page, “We have to open now or we probably won’t”. 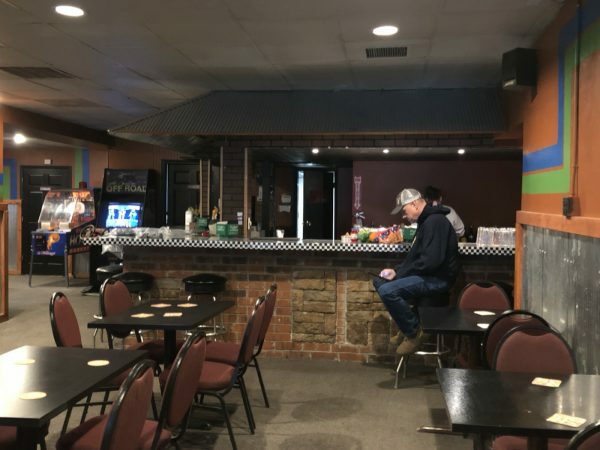 Regardless I stopped by to get a look as I’m sure many people were curious as to what the new bar looked like. 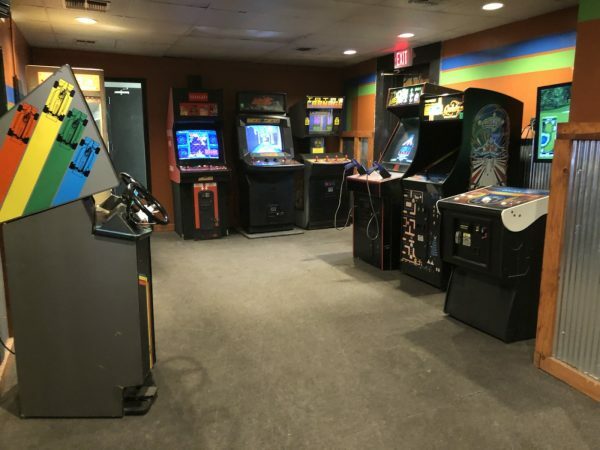 1985 Arcade Bar + Grill sits in the Maple & Seneca space that’s held Raven’s Room, Invictus, Pour House Restaurant & Tavern, and most recently Burn Out Bar & Grill. Parking is very limited. I was fortunate to get one of the handful of spots available in the lot immediately east of the building. They have a full cash only bar. They didn’t have any beers on tap yet as I was told something was wrong with the taps Wednesday morning. Bottles of beer were $3. 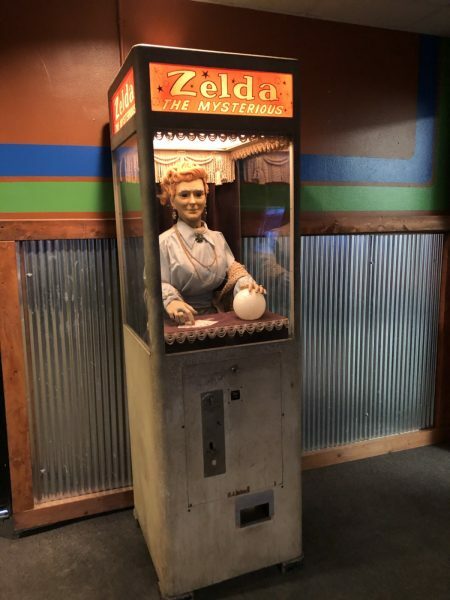 The arcade features 20 arcade games, 10 pinball machines and one Zelda fortune teller. 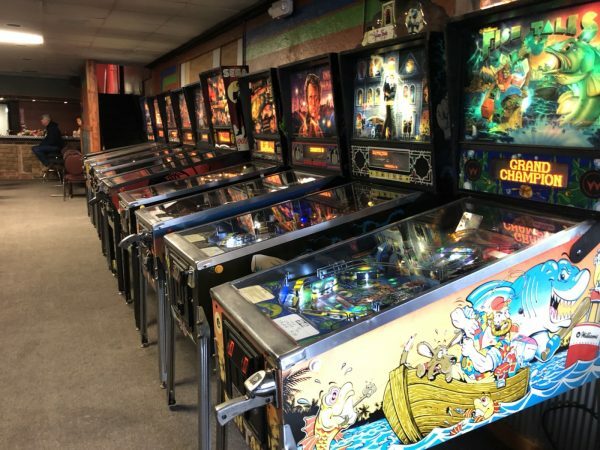 Most arcade games are a quarter to play with the exception of Air Hockey and Golden Tee. 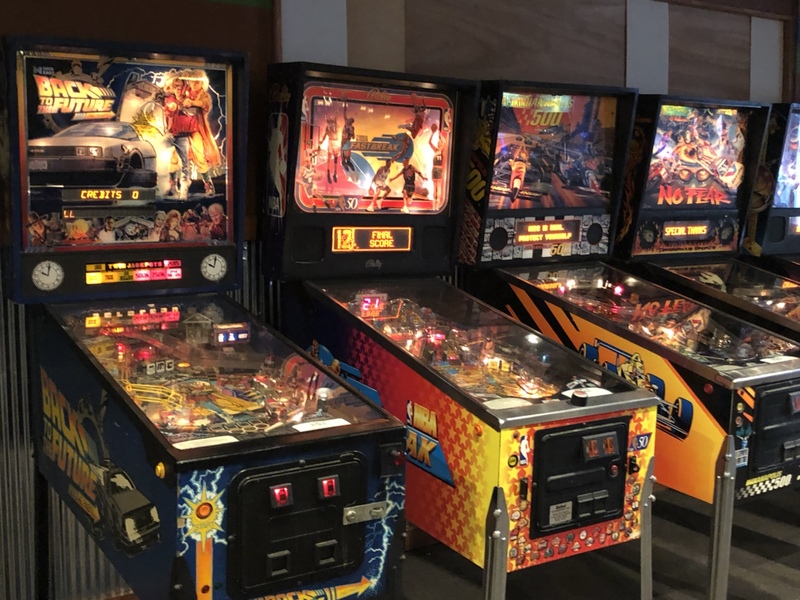 Pinball is 50 cents per play, 2 plays for 75 cents and 3 plays for 4 quarters. I was there for roughly 45 minutes and you could definitely get the vibe the opening was rushed. No quarter machines were available. Items were still lying around waiting to be put up. It was definitely a little brisk in there. 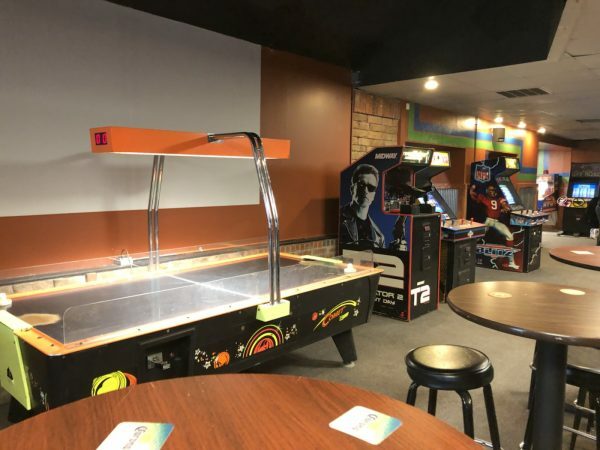 The place just didn’t feel too inviting upon walking in but if your sole purpose is to grab a drink and play games then you’re set. 1985 is certainly a work in progress and I get why they wanted to open early. It’s better to get some sort of revenue coming in than nothing. 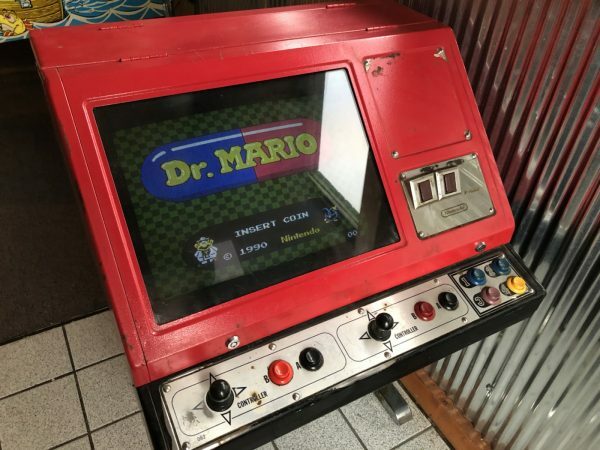 One suggestion I would offer is to attach a drink holder of some sort to the pinball machines. As of right now, everything was cash only. They did say they’ll be accepting cards once they get their machines up and going which could be as early as next week. They also plan to open up their kitchen in a week or two. 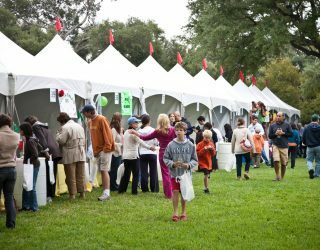 Once that happens the hours will be changing to 11am – midnight on the weekdays and 11am – 2am on the weekends. It’s way too early to make any sort of final verdict on 1985 Arcade Bar + Grill. 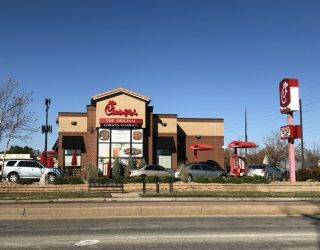 I’m interested to see what their menu looks like once food service begins and what efforts are made on the interior, if any. Right now everything is pretty bare bones but as I said earlier, if you want to grab a cold beverage and play some games then this play has you covered. Remember, you have to be 21 to get in otherwise you’ll be asked to leave as was the case with some people who tried to get in Wednesday. Turning back the clock. It will be interesting to see if they can make a go of it. I went for the purpose of a drink and games and had a blast! I can’t wait to see what this can turn into!